Funeral service for Mrs. Lula Mae Stevens will be at 2 p.m. Monday, Oct. 23 at Blanchard St. Denis Funeral Home of Natchitoches with the Rev. Tommy Rush officiating. Burial will follow at Fern Park Cemetery of Natchitoches. The family will receive friends from noon until the time of service Monday at the funeral home. Mrs. Stevens blessed this world for 100 years, 8 months and 5 days. She was born Wednesday, Feb. 14, 1917, to Edward Clarence Sibley and Laura Elva Anderson Sibley and passed away Thursday, Oct. 19, 2017, in Shreveport. She married James Henry Lofton April 26, 1934, and they made their home in Natchitoches. After Mr. Lofton’s passing she then later married Benford Elree Stevens Dec. 3, 1949. A long-time member of First Baptist Church, she especially enjoyed Ruth Sunday School class. She also enjoyed participating in the “Young at Heart” program through the Methodist Church. She was very proud to be a member of Chapter 13 of the Order of the Eastern Star. Her civic involvements included being a member of Natchitoches Genealogical and Historical Association, St. Denis Chapter of the Daughters of the American Revolution, United Daughters of the Confederacy, Natchitoches Garden Club and The Cane River F.C.E. club. 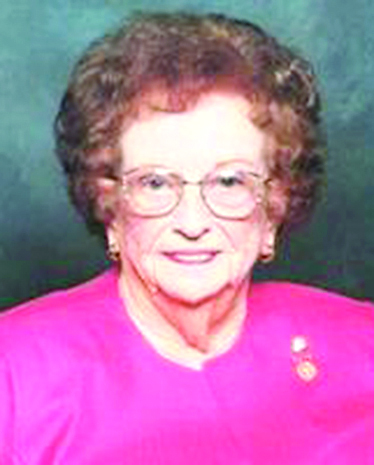 of Bossier City and Geneva Mae Lofton Durr of Shreveport. She was blessed with 13 grandchildren, 19 great-grandchildren, and one great-great-grandchild. She was preceded in death by her first husband, Henry, of 15 years, as well as her second husband, Elree, of 43 years; her parents; and two sons, Kenneth Wade Lofton and Carl P. Lofton. Those honored to serve as pallbearers include John Mctyre, Don Durr Jr., Russell Taylor, Steven Taylor, Jason Lofton and Hester Leach. Honorary pallbearers were Ronnie Stevens, Carson Sibley, Harold Porter, Leon McQueen, Dalton Lofton, David Breedlove, Bob Porter and Bill Bacle.